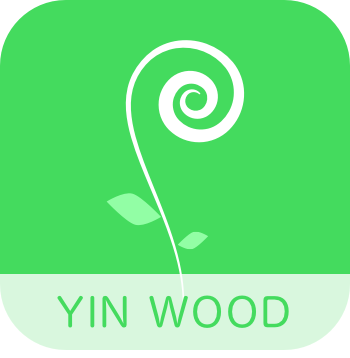 People born as Yin Wood Master Element are sophisticated and charming as characterized by soft wood such as the creeping vines, flowers, and plants. You can count on these people to act accordingly in events that require great knowledge of etiquette and refinement. Yin Wood are gifted with great skills in diffusing arguments with their acumen for diplomacy and tact. However, they may give in to the demands of others easily and they are open to making compromises to keep the peace. In the same way that vines find a way to continue creeping, Yin Wood people could adapt to the changes in their environment and they could be devious when needed. But there are also instances when they are too willing to accommodate others than they don’t seem to control their own mind. The people born as Yin Wood Master Element can attack the problem at its core and since they are not prejudiced, they make up their mind quickly. This could backfire as more often than not, they only see what’s on the surface and their solutions may not be permanent as it is implemented without careful planning. Yin Wood are given to emotional outbursts especially anger and their objectivity can be impaired when they feel strongly about something. When faced with an emotional situation, they often put others first so their stand can often fluctuate depending on how the wind blows. When you need a decision right away, you can rely on Yin Wood people to do so although you can’t depend on them to make the best choices. Often, they propose temporary solutions and they tend to question their own judgment. Yin Wood people are innately social and they become more confident about the choices they made when their friends agree with them. Their imagination can mess up with their thinking but having people around to keep them on track helps them greatly. The opinion of the people around them is very important and they thrive on appreciation and praise. When they are recognized, they feel more confident but this could also ruin them as criticism is their confidence downer. Yin Wood people are the ones who will try to get the spotlight and these efforts could be harmless juvenile antics but it could become worse. The confidence of these people fluctuate depending on the attention they get and they find it hard to say no to peer pressure. Most of the time, Yin Wood people’s confidence changes based on how other people see them but they can work on their personal confidence. By learning new things and overcoming challenges, these people could develop their confidence making them less susceptible to many problems. Yin Wood is strong if born during the winter, prosperous if born during the season of spring. They are weak in summer and autumn. As plants, Yin Wood needs Yang Fire (the sun) and Yin Water (rain) for balanced development. They have an interesting relationship with metal though, which is supposed to control them, but more you cut Yin Wood, stronger they become. In featured characteristic, we point out some special issues which are essential to understand and deal with Yin Wood people. Although in their nature they can be perceived as soft, when under the pressure they can overcome any obstacle, like an ivy which finds the way to spring out through the crack of the stone. They are tough to control and from all Master Elements, they are the most skillful survivalist. Because of their special way of handling metal element, which represents law and authority to them, they can be excellent lawyers and public defenders. They usually have excellent argumentative skills and are not afraid of the law, as long they are innocent, but even if not. Considering that Yin Woods are in constant seek for attention and admiration they can be excellent stage performers, and as you will see from the list of famous people below, there is a significant number of top class Yin Wood singers and actors. Yin Wood people are also quite often elegant and beautiful. Liver, neck, immune system, tendons, ligaments, wrist, and fingers. A balanced Yin Wood person usually has strong life energy and good health. If Yin Wood is in excess, the person will likely have problems with neck stiffness, tight ligaments, or even hepatitis. If Yin Wood is deficient, the person may have decreased immune function and be prone to develop arthritis or struggle with depression. Young one, you come in many forms, and yet are always perennial by nature. Flowers, grasses, ivy, potted plants – all together this one essential element. And your sweet smells caress our senses. Your sensitivity and beauty masks a determined will to survive. In very twist and turn you thrive and grow. Seeking admiration and attention is the language you speak. And yet no axe can stop your unbeatable spirit for life. Any pressure simply absorbed, like the grass beneath our feet.